In this blog we’re going to explore the many benefits of adding live chat to your business. First up though, we’re going to put our cards on the table and admit the truth – we love to chat. But our opinion doesn’t matter here. What matters is what your customers think. So let’s get right to it and discover the business benefits of adding live chat to your website. The thing is that the way people access the internet has changed in many ways. They’re no longer accessing the internet from their home or office, chained to a desk or on a laptop or desktop. Your customers are on the go, they’re connected 24/7 and they’re out and about with their phone devices, tablets and their 4G contracts, and they’re looking for fast services. And they’re just as into chatting as everyone else. That’s why Facebook paid millions of dollars for WhatsApp. They know that mobile isn’t the next big thing. It is the biggest thing. 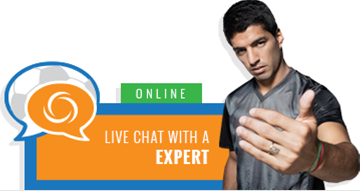 Life wouldn’t be the same without live chat. But what is live chat? If you’re not familiar with live chat, it’s just a chat feature you can add to your website that allows you to have a live conversation with a visitor who’s on your site. There are loads of options, but they all offer the same basic functions. The visitors see a small chat box that they click on to chat so they can have an online chat with you live. They may need to enter a few basic pieces of information such as name, email address and outline query. You can also set it so that you can have different departments. So now that we know what live chat is, what are the benefits for your business? Nothing will benefit customer service more than offering live chat. It clearly states that you mean business and you’re available to help your customers 24/7. Nobody wants to do business with people who hide behinds emails and phone calls. Live chat is instant and potential, and existing customers are reassured by the face that you’re always there when they need you the most. Not everyone loves talking on the phone. Offering live chat on your website allows customer to ask questions they might feel hesitant to ask over the phone. Basically it encourages them to engage with your business in a private way. No ifs, no buts, no doubts, and there is absolutely no hidden cost. Live chat is 100% free to your customers. With live chat, one person can easily manage several chats simultaneously. Try doing that with a phone call. Not only can your customers chat with you from a mobile device, but you can chat to them from your cell phone too and do it on the go. And there’s no annoying background noise that you experience when you are on a phone call.